What is “Smiles For Veterans”? 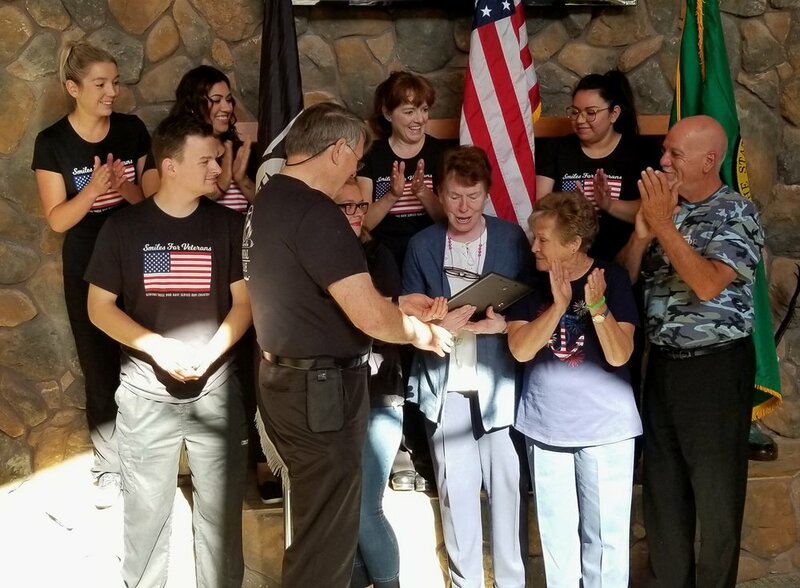 At Walla Walla Dental Care, we believe there is no greater sacrifice than the one our Veterans have made in service to our country. These brave men and women have risked everything – their careers, their health, and their lives – to serve the greater good and protect our nation. 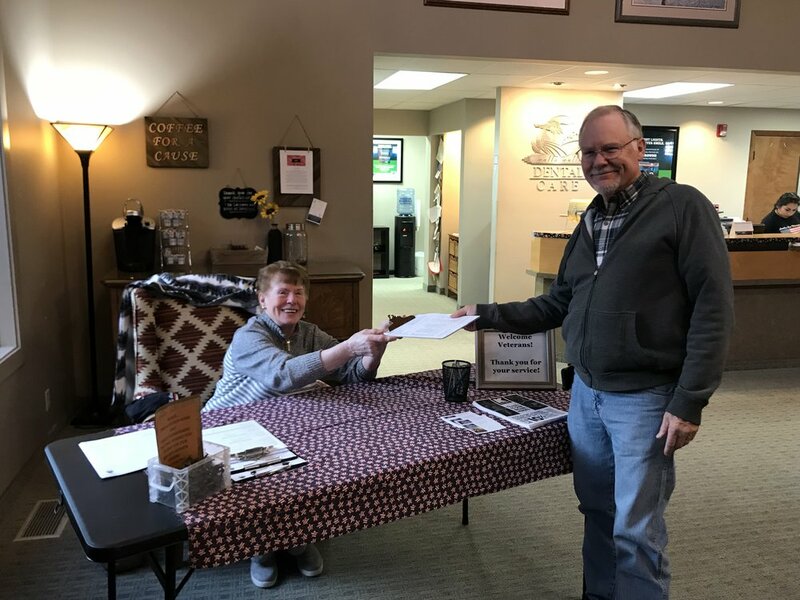 Each quarter, Walla Walla Dental Care holds a “Smiles for Veterans” day to show our support and appreciation, offering complimentary dental services for veterans in our community. If you are a veteran in the area in need of any of the above dental services, come by on *(TBD), first come, first serve, and we will be happy to help you. **Limit one service per patient. Restricted to our Smiles for Veterans event day only. First come first serve basis. 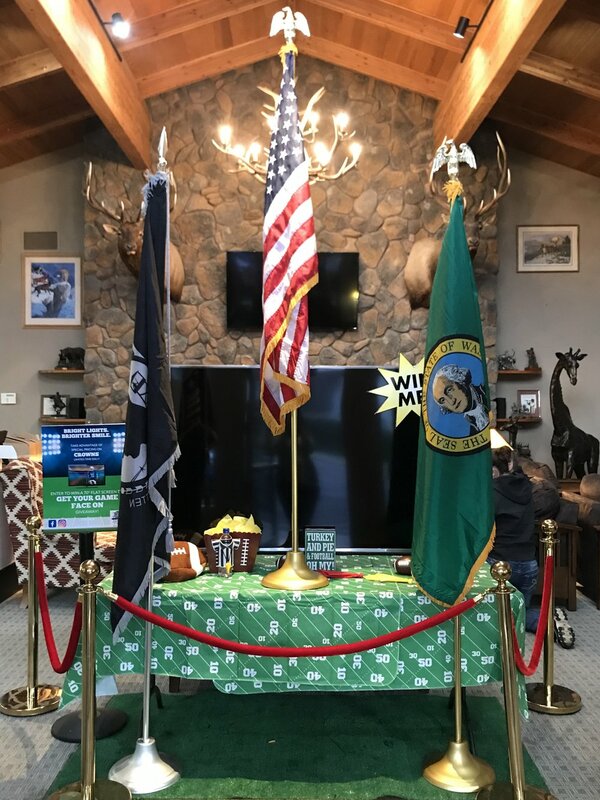 As well as our “Smiles For Veterans” days that we hold in our office quarterly, we also proudly participate in the Walla Walla community “Vet’s Stand Down”. We are always here to help Veterans in need any way we can. Here are some testimonials from the 2017 Stand Down.